All our staff are carefully selected and trained to the required standard. They are very security conscious and are required to sign a confidentiality document in their contract of self-employment. 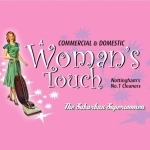 Is your business listed for Domestic Cleaners in Nottingham?